Travis has worked on this line since 2008 and notes that he is actually working with three types within this one line. First, he has his Acid Stripes; then some marvelous Acid Rains; and, finally, the Typhoons. 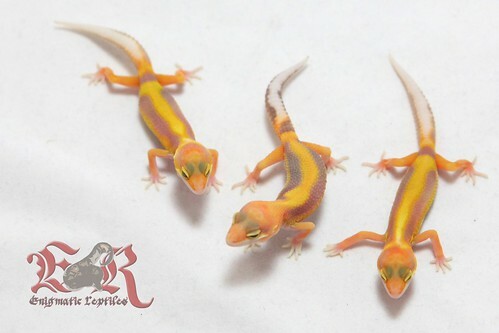 Of course, they are all based on Rainwater (RW) albinos, Red Stripes, and a cross made to RW albinos with an Eclipse that he had tested to ensure there was NO Tremper albino hiding in the gene pool. Head over to his FB page to read the whole story. 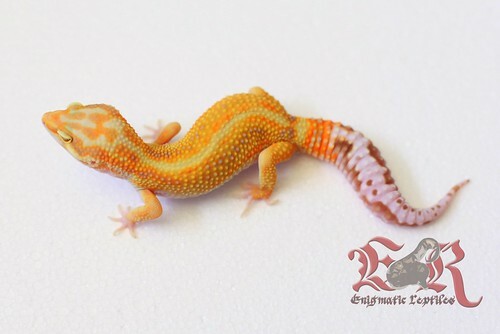 But, in a nutshell, he crossed Raining Red Stripes (created by Jeremy Letkey, who crossed RW albinos with both red stripes and bold stripes) to Firewaters (a combination of RW albinos and the best tangerines produced by Dan Lubinsky of Hot Geckos) and then crossed in the Eclipse gene. His Acid Rains have the patternless stripe gene inherited from his Eclipse crosses. 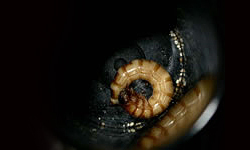 After his initial crosses, and when he felt he was on the way to “set” the characteristics he wanted, he has been breeding all three lines together. 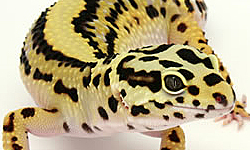 These gene combinations not only provide bright young Leopard Geckos, but these Leos hold their bright colors into adulthood–the second year and beyond. What struck me the first time I saw a photo of an Acid Stripe, besides the colors that “pop” off the computer screen, was the deep contrast of the colors and the patterns. I remember thinking, “these are not only fantastic Acid Stripes, they look like deeply acid etched Leos.” And, yes, the clichéd comment, “bring your sunglasses” is appropriate. 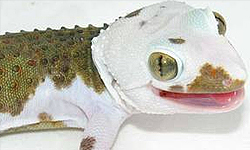 The Rainwater albinos just don’t have the following engendered by the original albino gene discovered by Ron Tremper or, later on, by the Bells. Personally, I am a Bell albino fan, but now Travis has shown me what the Rainwater albinos, in this particular gene combination, can produce. Generally speaking, the RW albino line is known for its inability to hold bright colors as they mature. 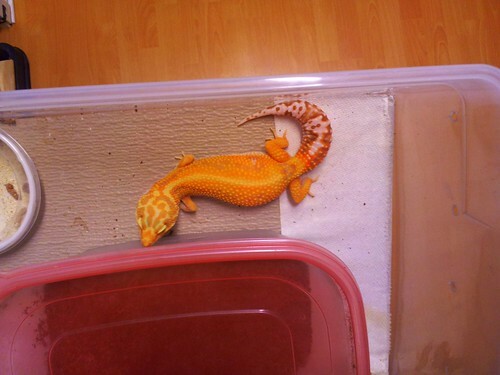 And since we ALL desire to breed bright, bold Leos that KEEP those colors, this is a distinct liability. 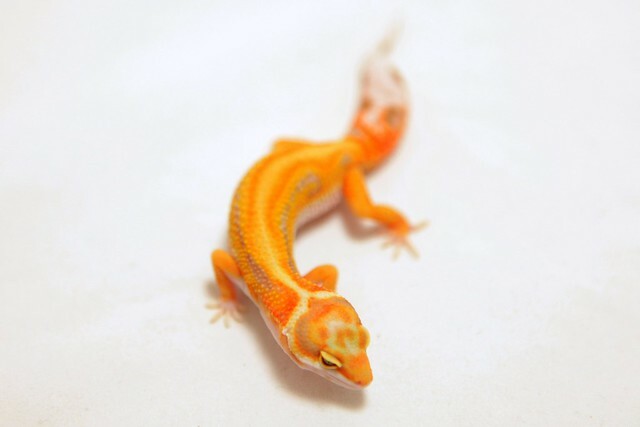 Travis gives credit to the two breeders who successfully line bred their respective collections and whose Leos provided the genes that helped Travis develop his Acid Stripes and Acid Rains―Jeremy Letkey and Dan Lubinsky. I would add that he has also made the right decisions with regard to the Leos he kept for breeding the next generation.